With the arrival of summer weather I decided that Amos and I both needed some t-shirts that we could wear every day. I am not about to sew a t-shirt myself, but I was excited about the idea of adding my own designs to some soft, durable shirts. There are many, many ways to do this, but applique is my method of choice. 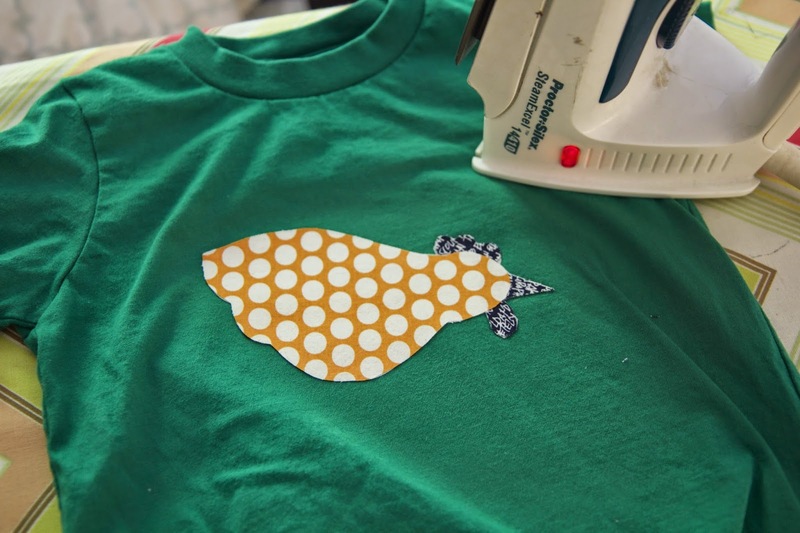 This little project is a great way to refresh shirts that you might not love any more, or to embellish new-to-you t-shirts. So far, I have made three for Amos and one for myself. 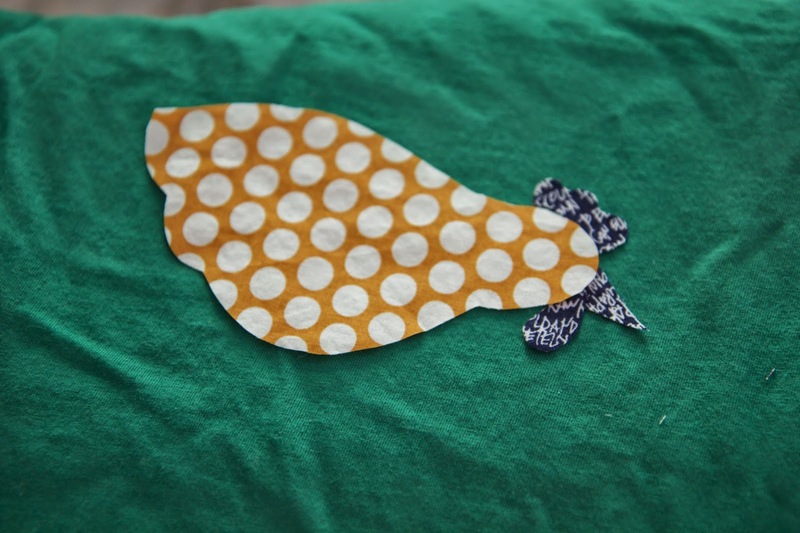 If you are nervous about ruining a shirt that you love, try appliqueing on a shirt you don’t really like, on a test piece of fabric, or on a shirt for a little one who will soon have it covered in blueberry or watermelon juice (so it doesn’t matter if it isn’t perfect). I used quilting cotton and jersey cotton and was happy with both results. The appliqued design will first be attached to the shirt with fuseable interfacing which helps keep the stitching strong and gives you a little freedom to play with the stitch that you use. If you are using quilting cotton a zig-zag stitch around the edges will keep them from fraying. You can zig-zag or straight stitch depending on which you prefer and if you don’t mind a slightly frayed edge. 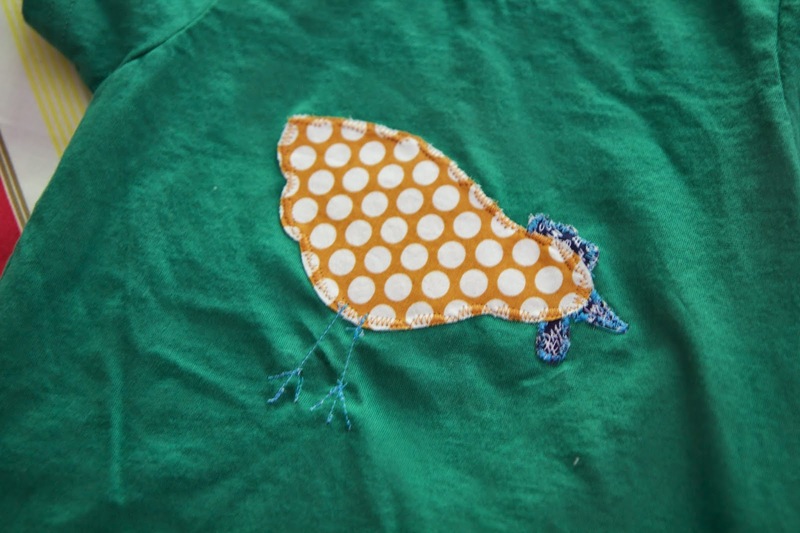 You can also sew into the middle of the applique fabric to add texture and pattern (as in the feather, above) Simpler shapes and fewer fabrics will work better if you are a beginner, but try whatever you like. 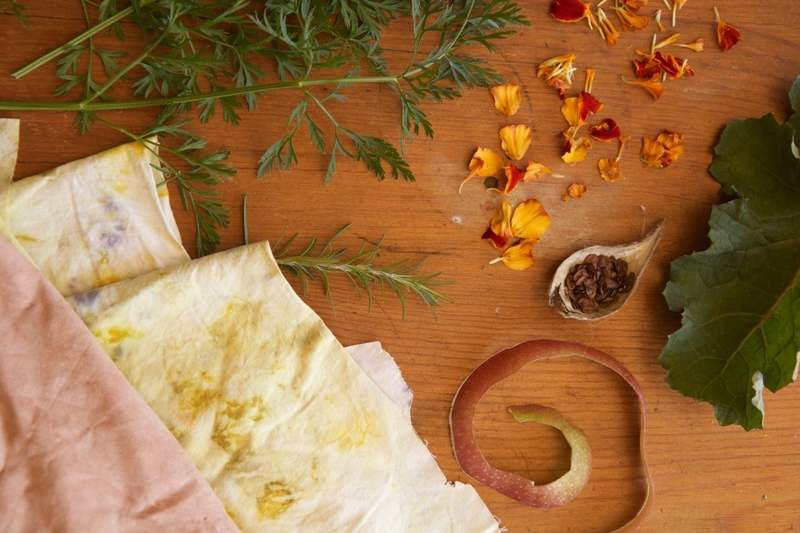 Begin by choosing a design or image you want to create in fabric. You can draw it first or just start cutting the fabric. 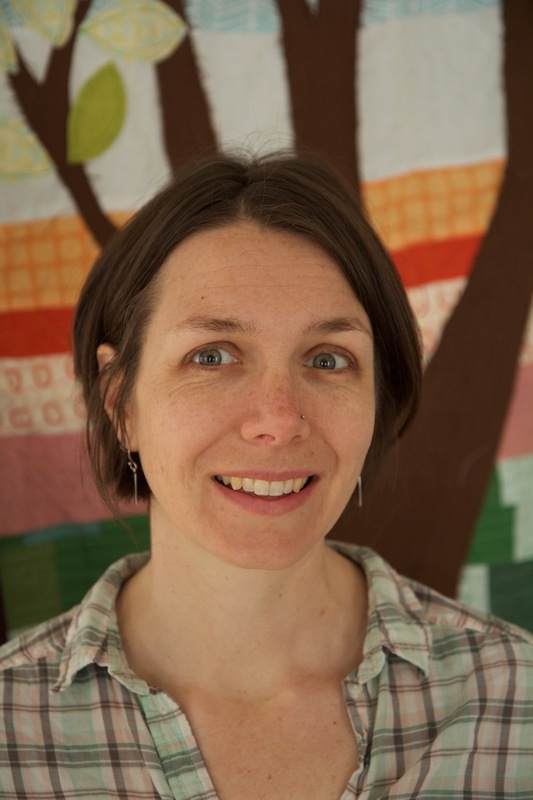 Once you have your design, cut it out of fabric and out of the interfacing. I cut my fabric image then lightly ironed it to the interfacing and cut the interfacing to match the fabric. Choose where you will place the applique on the shirt. The interfacing should in between the shirt and the cotton fabric. Iron all three layers to fuse them together. They will be fused together lightly so you may want to pin the applique in place before you sew it just to make sure it doesn’t shift at all. For stitching the design you have many options. 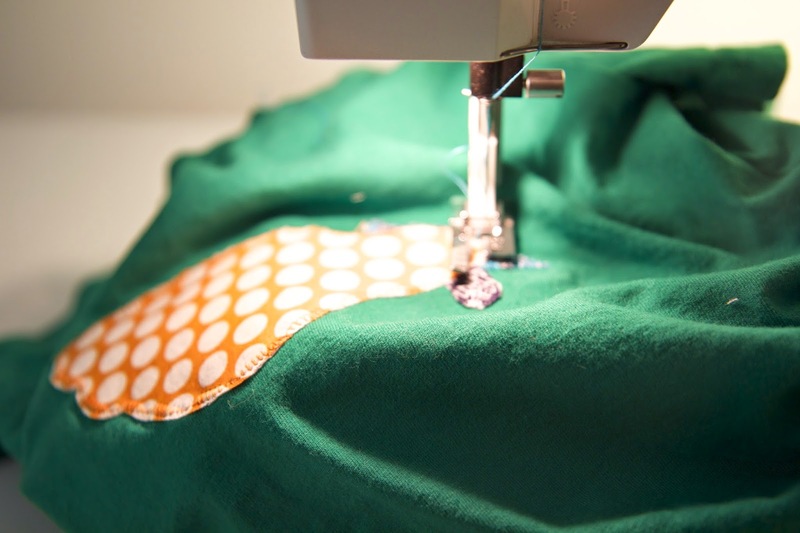 You can choose a zig-zag stitch on your machine and go all the way around the edges of the applique fabric. 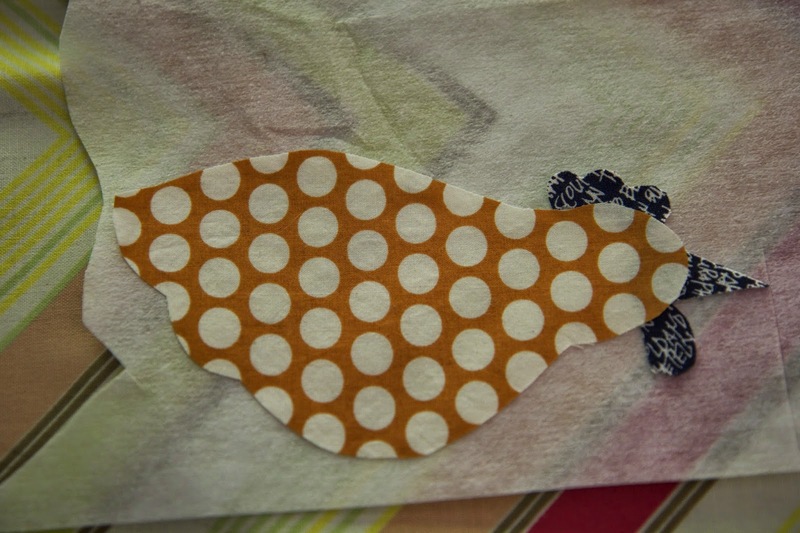 You can go around the edges with a straight stitch (quilting cotton fabric will fray on the outside of the stitching). You can use a straight stitch to create pattern and texture within the fabric and help secure the fabric more sturdily to the shirt. 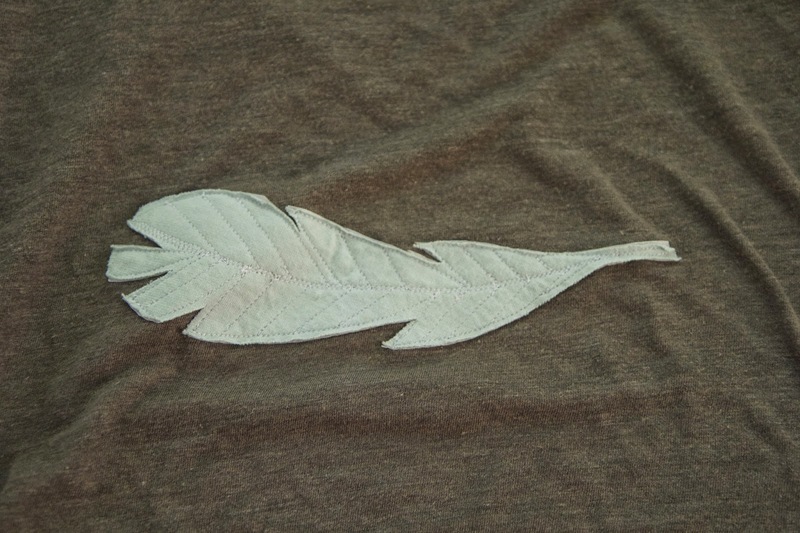 Since t-shirt fabric can be stretchy and slippery, it is easiest to keep your stitching on top of the applique design. You can add stitches on the t-shirt itself, as I did with the chicken’s legs, if you want. I am excited to share these tiny projects with you. If you have any questions or my directions are unclear, please ask!